“a Lamp to my feet. a Light for my path.” – Matthew 11:28-30 | A LAMP TO MY FEET. A LIGHT FOR MY PATH. – virtues and dispositions of the heart which always go together. He will win our trust through the meekness of His heart, always so welcoming and understanding. and even try to imitate Him. There, in His most lovable Heart, we will find shelter and rest…and peace. and a true Christian is perforce one who embraces the Christ-like virtue of meekness. so that His slow-minded and easily-distracted friends can master His saving doctrine. He never loses patience with their obtuseness and failure to grasp His meaning. is therefore to imitate Jesus in His meekness. and to think about Our Lord Jesus’ life. and not to lose our temper when things go wrong. “The peace of our spirit does not depend on the good nature and kindness of other people. Our neighbours’ good nature and kindness are in no way subject to our control of opinion. The tranquillity of our heart depends on ourselves. has to come from within ourselves and not be dependent on the nature of other people. 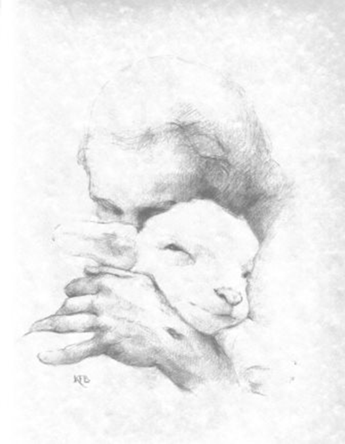 Jesus, Lamb of God, make me more like You!